The festival capital of Australia, is what Adelaide calls itself. Well, we had a good time, with our festive activities focusing on getting together with family, and enjoying some fine local foods. 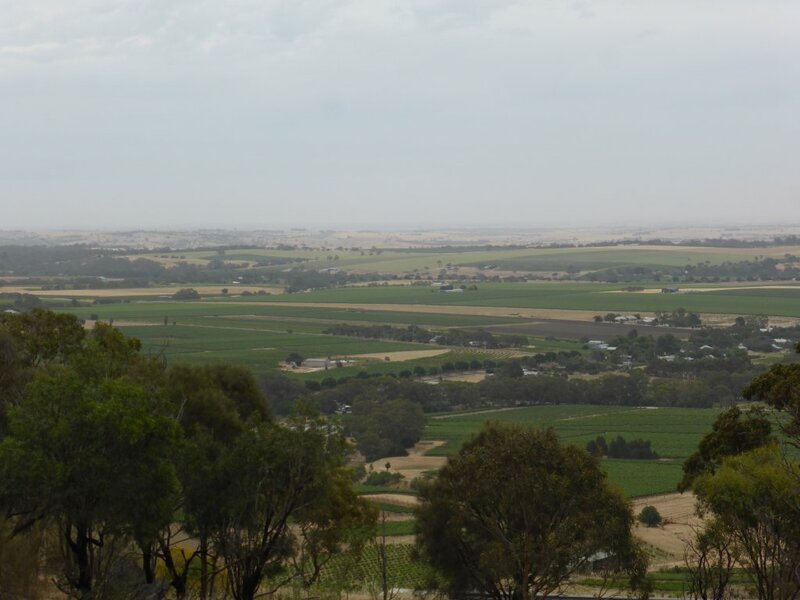 Our entry to Adelaide was through the Barossa Valley, Friday 14/11. 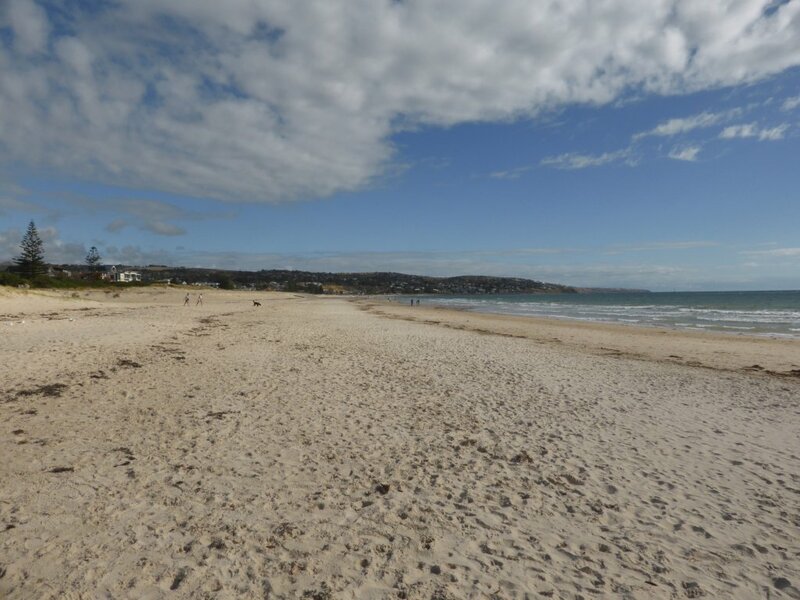 A beautiful region, full of scenic vineyards currently displaying fresh growth leaves, wineries with grand fancy entrances & buildings, and manicured gardens. It’s not hard to see where some of the profits from those expensive bottles of wine ends up! A quick stop in both the towns of Tanunda and Nuriootpa where we sampled their wares such as sweets and cheeses (and drove through others such as Angaston & Williamstown). Still looking forward to eating the Barossa Triple Cream, and Lemon and Oregano Halloumi cheeses! 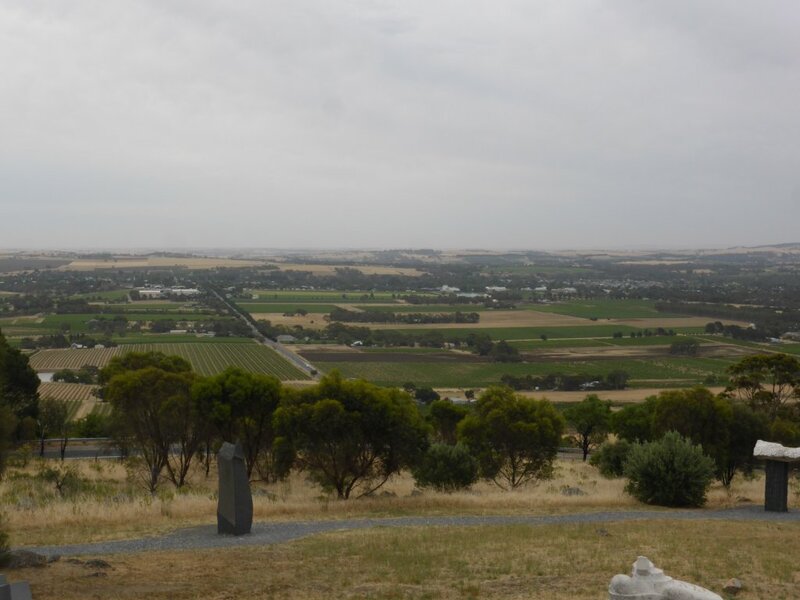 Coming down the hill from the main Barossa valley lookout (on the scenic drive), it is clear that one of the Tour Down Under stages goes through here – I recognised the hill climb after seeing the ‘go Cadel go’ paintings on the bitumen! 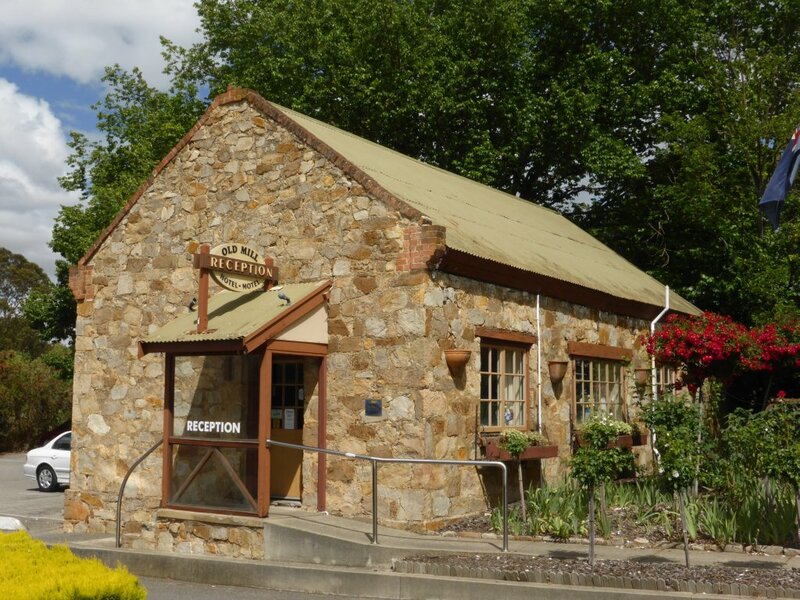 Our stay in Adelaide was based at Paracombe, in the Adelaide hills. It is a beautiful area, yet still close to town. Thanks to Phil an Janine for letting us stay on your property. The boys had a great time playing with Emmett, and hopefully Tess and Violet didn’t mind too much! Saturday lunch and afternoon we had a lovely time meeting up with many from our extended family, some whom I’d never met before (Nicoles fathers side of the family). Thanks so much to everyone for coming to see us, and also to Greg & Lorraine for organising the get together. I didn’t carry my camera with me, but there were one or two about so hopefully I’ll be able to add some to this post later. 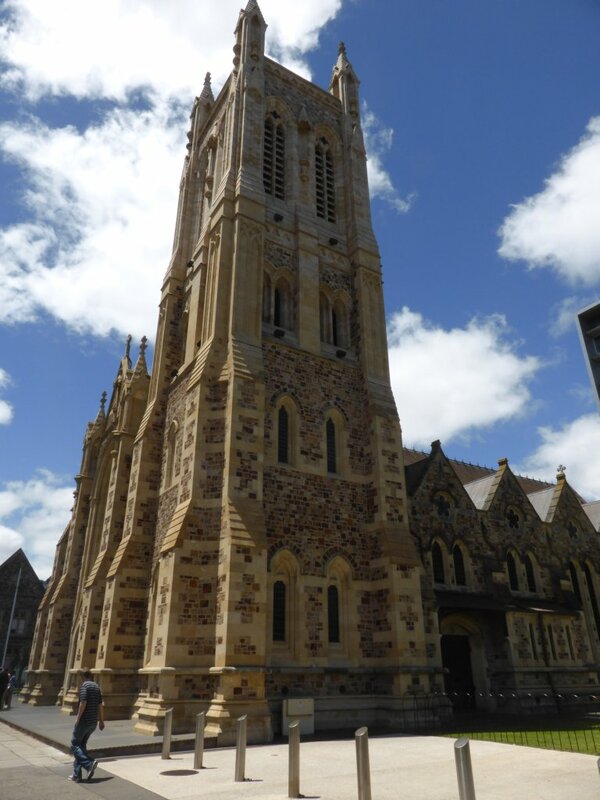 Sunday we took the opportunity to head into Adelaide and check out the city itself. We caught the tram up King Williams St, the first time the boys have been on a tram! 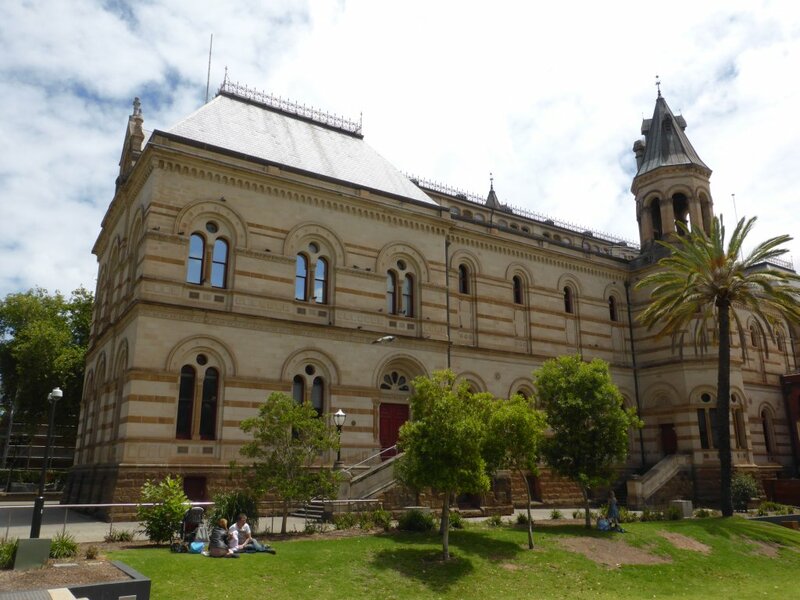 We stopped off at Victoria Square, to look at some of the old buildings. There are many beautiful old buildings throughout SA, some restored, some in ruins. 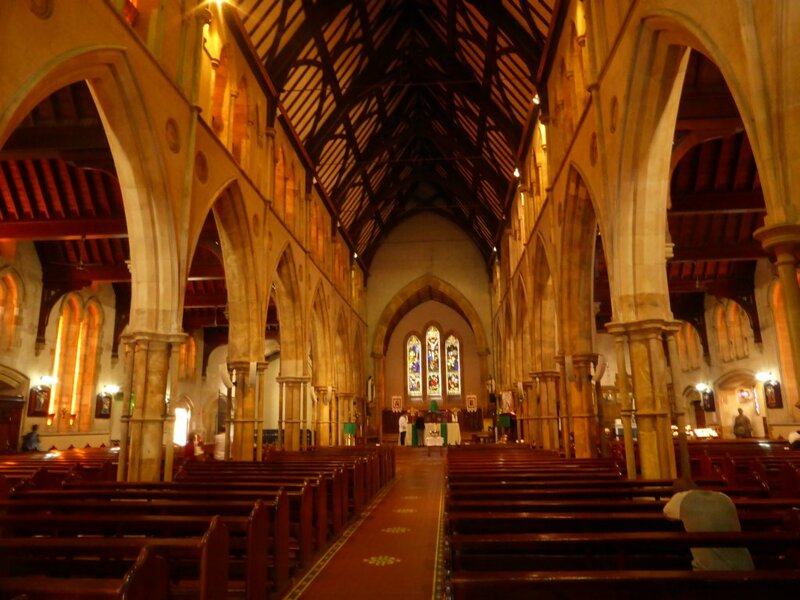 This old Cathedral in town is pretty amazing. There was a market/festival going on in the centre square – turned out to be a Vegan festival! Hahaha! If you’re wondering what’s funny about that, it’s because I’m the opposite of vegan – I eat lots of meat and dairy, but not vegetables! I was curious so we went in to have a look, not giving an entry donation because I don’t particularly want to support the vegan cause… Not an awful lot to look at, though I noticed some half eaten pies people were holding….and wasn’t surprised they seemed to be leaving them half eaten!! I realised afterwards I might have been a bit of a sight, wondering around in my leather (ie. dead animal skin) cattleman style hat, past all the anti-cruelty and ban live export type stalls! We had a look through the South Australian Museum, which is big in some areas such as Australian Aboriginal Culture, and also Pacific Culture – lots of history/artifacts. Of course there were plenty of other galleries as well. It was all well done and presented, but we’ve been through many museums now so didn’t spend ages there. Before heading out to look at Adelaide’s beaches, we strolled through main shopping district, sampling some more of Adelaide’s finer wares – smoothies from Gong Cha, chocolate from Haighs and also Koko Black (the slab of dark chocolate/honeycomb/dark chocolate was delicious! ), nuts and related from Charlesworth Nuts! All very yummy stuff!! 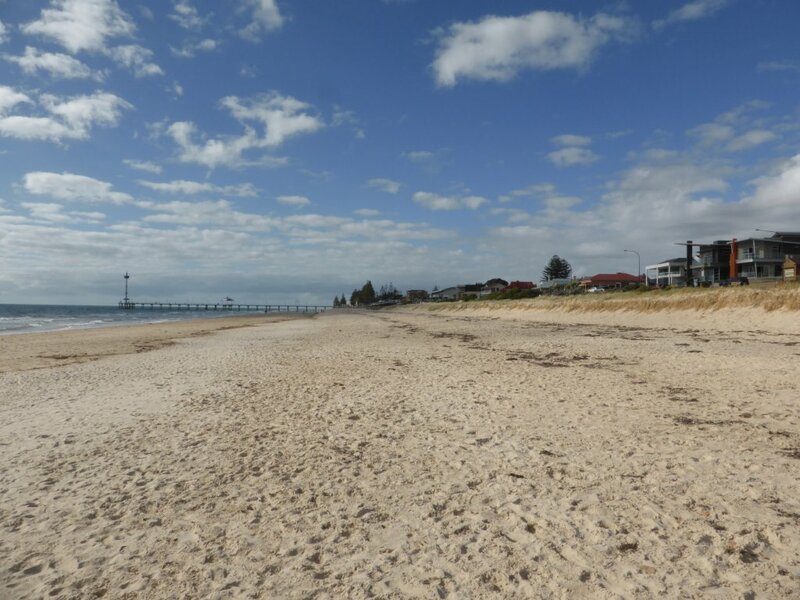 It must be nice having beaches so close to the city as they are in Adelaide, though no doubt it costs a fortune to live there! Nice wide sandy beaches such as these pics from Brighton. Unfortunately the somewhat cloudy weather makes the sea look a bit unattractive (as cloudy weather does to any beach), but I’m sure it would be beautiful with the right conditions. Don’t know that you’d ever get good surf here though? Adelaide seems to have lots of wood fired pizzeria’s, so we stopped in at one for dinner that night (‘800 Degrees’ it was called, not far out of the CBD). Nice pizza’s, but for dessert they talked us into having this Nutella pizza. Sounds a bit funny (hadn’t heard of it before), but turned out to be awesome! They roll a pizza base up with nutella in the centre, cook it, cut it into angled slices, stack/arrange nicely on a plate with some strawberry sauce and strawberries, and top it off with cream. I should have taken a photo as it looked cool, and with the warm chocolate oozing out of the crust mixing with the cream and strawberry it tasted even better!!! Monday morning we began to head south, stopping in at Mt Lofty after doing some grocery and other shopping. 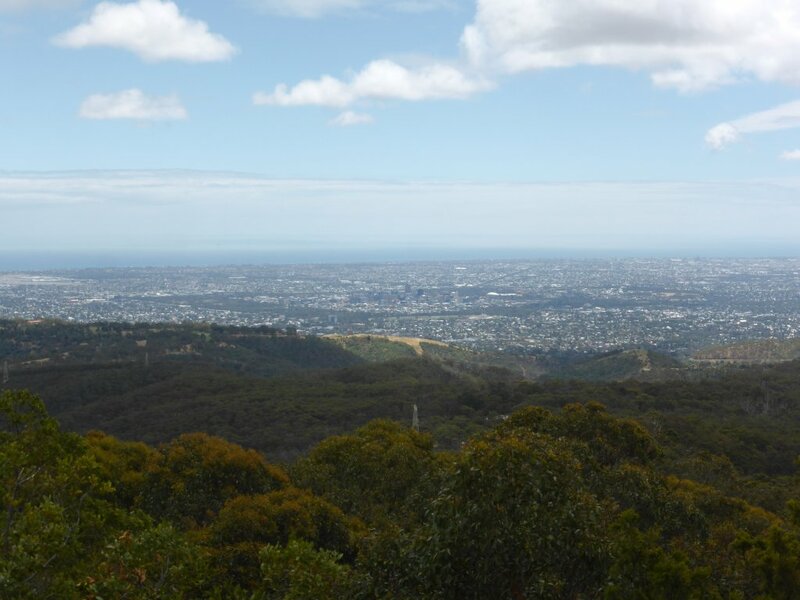 Mt Lofty is Adelaide’s equivalent to Mt Cootha in Brissy – a lovely vantage point looking out over the city, with a cafe and store. 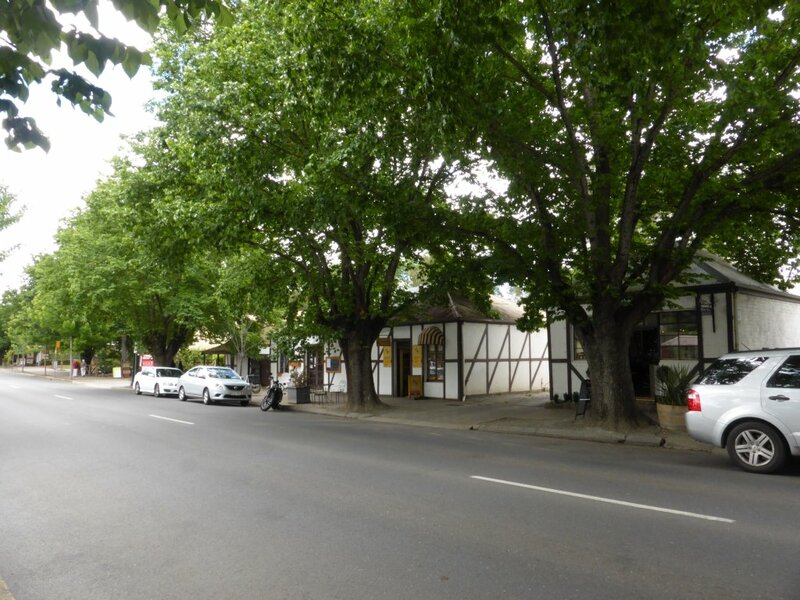 A bit further south east, kind of out of Adelaide now, is the German town of Hahndorf. 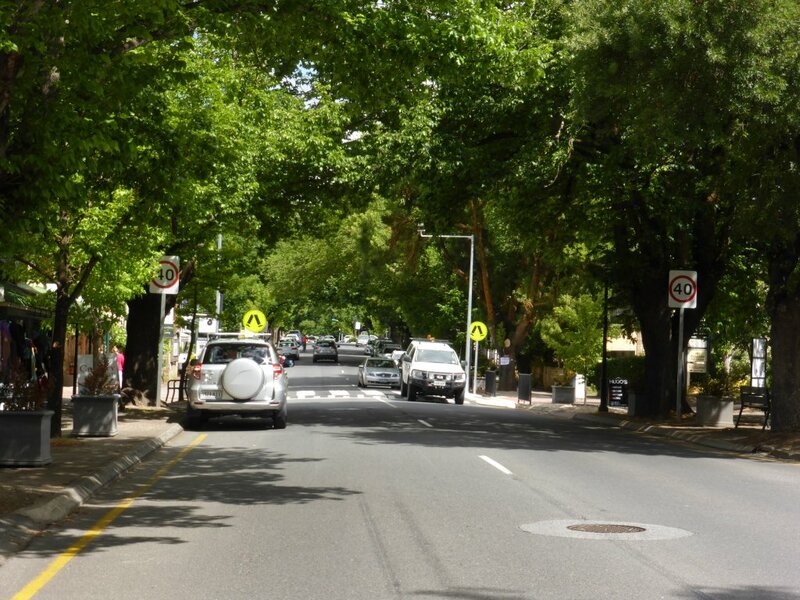 This is a special quaint little town, reminding me somewhat of Montville back on the Sunshine Coast. Lots of little German stores, homemade icecreams, lollies, chocolates, galleries, tourist stores, German pubs etc etc. We bought some FruChocs, which we are told are an SA icon! Also some homemade lollies, fudges, icecream and….. I’d better stop!! Even risked going into a couple of stores selling Opals and opal jewelery, but actually had myself in mind this time. However Nicole wasn’t keen – she reckons I’m not that kind of guy – an Opal ring is too ‘flashy’ for me apparently…! 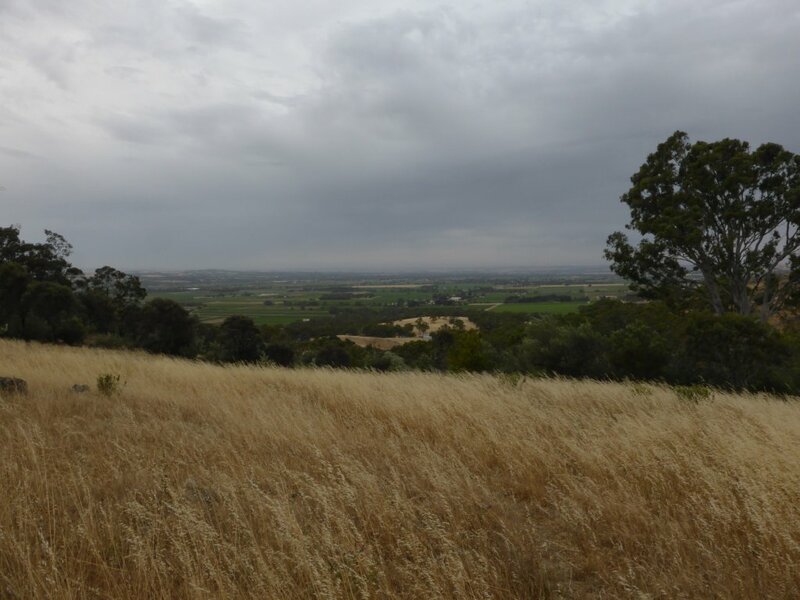 It was getting late in the arvo when we left Hahndorf, heading south into the Fleurieu Peninsula. We had a great time in Adelaide, meeting and getting to know relatives we hadn’t seen for a long time (or at all)! Thanks again to everyone, and when you come north to Brissy next please do come and visit! Simon you hardly even wear your wedding ring! No opal rings for you! Happy Birthday, Simon. Send us an update on your birthday activities. Maybe Nicole and the boys slipped back and got you an opal ring? Maybe you went on a flight or an air balloon? Maybe you changed a tyre? Thanks Lyndal! Haha, none of those! Aside from being sick with a flu like thing (for a few days, but thankfully feeling much improved today), we’ve been on an underground cave tour at Narcoorte – the Victoria Fossil Cave. Was a nice informative tour. We’re heading to Mt Gambier, before going east into Vic and to the Grampians (though don’t know if we’ll reach them today).